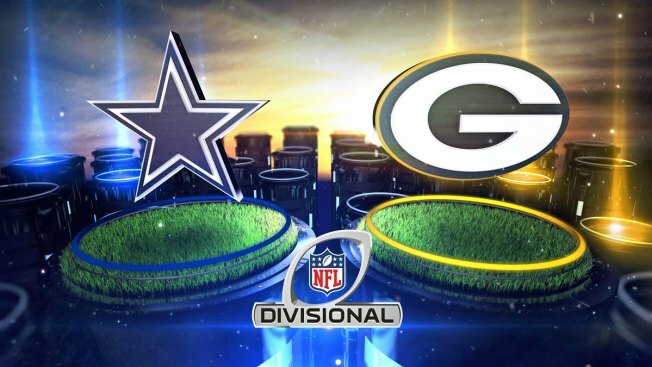 The Cowboys and Packers take the field Sunday, Jan. 11, 2015 in the Divisional Round of the NFL Playoffs. On Deck will be here all season to provide you with everything you need to know (and a few things you don't) about every Cowboys game during the 2015 season. The Opponent: The Packers are tied for first place in the NFC North, but they aren't playing all that great right now and needed a miraculous Hail Mary that was covered terribly to beat the Detroit Lions on Thursday night. Past Meetings: Believe it or not, the Cowboys and Packers have played 32 times, including seven games in the postseason, and they've split right down the middle — winning 16 games each. Of course, the most recent meeting came back in January when the Packers won 26-21 at Lambeau Field in the NFC Divisional Round, thanks to the whole Dez no-catch call that has gone down in infamy. The Cowboys have four of the seven postseason meetings. Who's Hot: The Cowboys have gotten tremendous play from Sean Lee since he returned from a concussion, and on Monday night, he was arguably the game's MVP. The veteran linebacker had 13 tackles and a sack and was literally all over the place and seemingly in the Redskins' playbook. Rolando McClain also had a good night with 10 tackles. Second-year defensive end DeMarcus Lawrence had two sacks. Dan Bailey did his best Dan Bailey and went 4-for-4 on field goals, including a 54-yarder to win the game in the closing seconds. Tight end Richard Rodgers had eight catches for 146 yards and the game-winner on a Hail Mary and Devante Adams caught his first touchdown of the season. 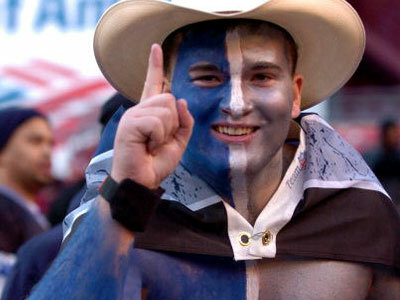 Who's Not: Matt Cassel did one thing right on Monday, and that was not turning the ball over in the air. But he also missed a lot of wide-open looks at Dez Bryant. Darren McFadden had a big fumble but then redeemed himself with a touchdown late in the game to take a lead. Greg Hardy was once again basically non-existent with one tackle and one assist on his ledger with no sacks. Eddie Lacy has basically been shunned as he had five carries for 4 yards on Thursday night, as Aaron Rodgers was the team's leading rusher with 27 yards and a touchdown. Aaron Rodgers continued his very average season, by his MVP standards, with another average game of throwing for 273 yards and two touchdowns with a pick. A lot of those yards (61) and one of the touchdowns came on the worst-covered Hail Mary in the history of football.